Daniel F. Bachman graduated from the University of Southern California with a B.A. in psychology. After graduation, Mr. Bachman volunteered at Inner City Law Center, the only full-time provider of legal services on Skid Row in downtown Los Angeles, pursuing long-term, positive, and meaningful change to create, safe, healthy and affordable housing, help homeless veterans get off the streets, and prevent families from being evicted into homelessness by fighting for justice for low-income tenants, working poor families, immigrants, people who are living with HIV/AIDS or are disabled, and veterans. It was that experience that inspired Mr. Bachman to pursue a career in law. While attending the University of Miami School of Law, Mr. Bachman served as an Articles and Comments Editor on the University of Miami Law Review. 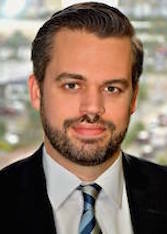 During that time, he began working at Chepenik Trushin LLP as a law clerk, and, after graduating from law school, Mr. Bachman was duly admitted to the Florida Bar, at which point he transitioned to a partner position in Chepenik Trushin LLP’s litigation division. Mr. Bachman is particularly experienced in the area of probate and trust litigation, complex commercial litigation and insurance defense. He maintained this focus in his transition to a partner position at the firm, and Mr. Bachman is currently a partner of Chepenik Trushin LLP’s litigation department. Mr. Bachman has handled a broad array of complex commercial litigation cases in federal court, state court and arbitration, including matters involving emergency injunctions, non-compete agreements, trade secrets, condominium associations, the Florida’s Deceptive and Unfair Practices Act, defamation, tortious interference with contracts, commercial lease disputes, aviation liens, respondeat superior, fraud, civil conspiracy, conversion and civil theft. Mr. Bachman has also handled litigation matters involving aviation law, professional malpractice, nonprofit groups and attorney’s fees disputes. Mr. Bachman has amassed a great deal of experience in handling administrative matters, involving administrative hearings which deviate from the procedural rules governing traditional courts of law because they are quasi-judicial in nature. Furthermore, Mr. Bachman has won several appeals and has successfully argued cases in front of the Florida Third District Court of Appeal and has filed Writs of Certiorari on behalf of his clients for the purpose of appealing adverse administrative rulings in appellate court. Finally, Mr. Bachman is a key member of Chepenik Trushin LLP’s probate and trust litigation department. He is familiar with the latest developments in Florida law relevant to challenging and defending wills and trusts, and is a key player in the firm’s many complex probate litigation cases, including those involving claims of lack of capacity, undue influence, insane delusion and tortious interference with expected inheritance. In his free time, he likes to travel and play with his dog, Stink, and cat, The Babadook. Probate court proceedings, probate litigation and lack of testamentary capacity (trust litigation), how to avoid it with estate planning, tax planning and trust documents. Success Links chapter, Business Network International - Miami, 36 professionals. November 6, 2018, Miami Beach, FL. The impact of guardianship laws, elder exploitation and undue influence in Miami Beach communities, how to identify it. What to do to stop it. Business Network International - Miami, 33 local business owners. March 13, 2018, Miami Beach, FL. When decline, death and intestate meet? What is next? Business Network International, 35 business owners, February 21, 2017, Miami, FL.